Heat is an OpenStack Orchestration service, which implements an orchestration engine to launch multiple composite cloud applications based on templates in the form of text files that can be treated like code. Heat service is able to read YAML (.yaml, .yml) files and perform different tasks inside OpenStack environment included in YAML components. Using Heat Orchestration we can create instances, networks or even whole tenants with just single mouse click in OpenStack dashboard (Horizon), if we have previously prepared YAML file with Heat instructions to be performed in OpenStack cloud. In this tutorial we will create example .yaml file for Heat orchestration containing instructions and components needed to deploy project tenant in OpenStack and launch instances inside the tenant. Next, we will create our stack on single OpenStack all-in-one node based on CentOS 7.3 operating system. 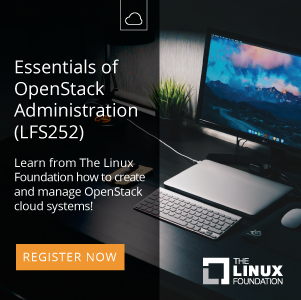 In this tutorial we assume, that you already have working OpenStack environment including Heat orchestration service. Find out how to Install OpenStack Newton All In One with Heat Service on CentOS 7. Fresh OpenStack installation may not yet include public shared network to connect tenant networks to. Since we don’t want public shared network creation to become a part of particular tenant deployment .yaml files, we will create public shared network right now in command line. For the purpose of this article we will download Cirros image to be used by our stack. According to OpenStack documentation for resource type: OS::Nova::Server, there is no possibility to define in .yaml template file which tenant the new instances are supposed to belong to, from the other hand, for the resource type: OS::Neutron::Port we are not able to define tenant_id property (encountered error: property doesn’t exist), that’s why we will break down project tenant creation process into two .yaml templates. Above template includes project tenant creation, new tenant user / member creation and role assignment for the user. All the mentioned resources are parametrized and the parameters can be passed to the template upon it’s execution, moreover tenant_user_role parameter has it’s default value heat_stack_owner, so if this parameter won’t be passed to the template, the default value will be taken to consideration. 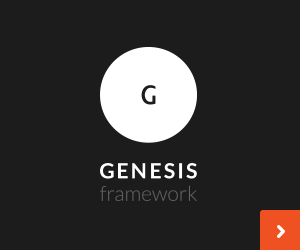 Second template is executed as tenant user to let the instances be created inside the particular tenant and encompasses networking, security groups, floating IPs and instances deployment. Almost all parameters, include default values, so we don’t need to pass them all upon template execution. The only exception is tenant_id, which must be given in stack creation command. First, create project tenant and assign tenant member from create_tenant_and_user.yaml file as admin user. Since we need to execute the second stack as tenant user, we need to prepare a keystone file for tenant user and source the file in console. Let’s verify briefly our new stacks to see, if all stack components were created succesfully. Test newly created instances (instance1, instance2) connectivity. The authenticity of host '192.168.2.232 (192.168.2.232)' can't be established. RSA key fingerprint is SHA256:tKZ7fdIHvES+GU5Zh/XGUg6HyxPeFFYcRcFhwoW/qHg. RSA key fingerprint is MD5:63:93:7c:eb:7d:c8:57:8c:3e:62:f4:30:86:e4:bc:46. Warning: Permanently added '192.168.2.232' (RSA) to the list of known hosts. The authenticity of host '192.168.2.237 (192.168.2.237)' can't be established. RSA key fingerprint is SHA256:2w8Yndo9ipMYPXHmw/cqxUgn96qm2fU9sjGdSLtyLDc. RSA key fingerprint is MD5:aa:26:39:89:21:8a:63:11:64:4c:a7:14:19:5e:c1:78. Warning: Permanently added '192.168.2.237' (RSA) to the list of known hosts.